Do you have your weekly shirt lineup on lock? 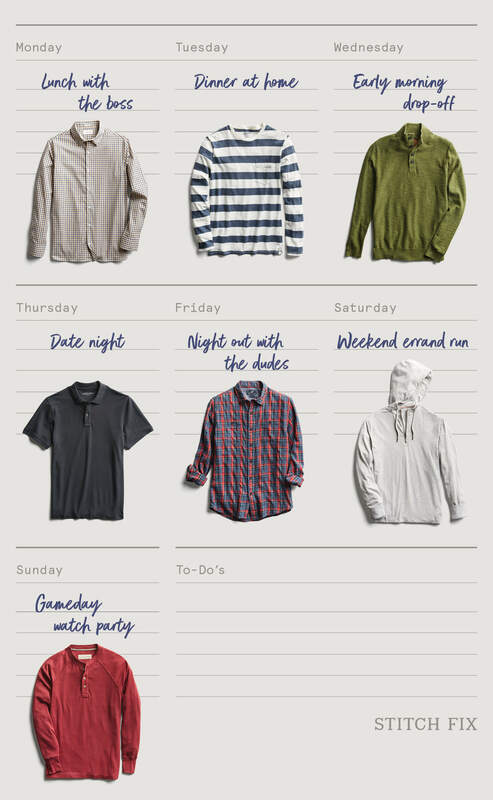 We’ve got your 7-day shirt guide to get you through every day of the week and every event on the schedule. Keep reading to see 7 days worth of shirts. Time to get back to the 9-to-5 grind? Step into the office with a stretch button-down shirt for max versatility to take you from a lunch meeting with your boss to dinner with the family. Consider this your secret weapon in the colder months. Layer it under a heavyweight button-down (like a twill or denim one) for extra warmth or wear it on its own under a hoodie for when casual comes calling. A sweater that can do both. Equal parts casual and ready for your next meeting, wear your mock neck sweater over a polo, a button-down or even a crew neck tee. All are fair game with this easy-to-wear staple. Go straight from the links to the kid’s soccer game in a classic polo. Pair this classic staple with a color-coordinated belt and shoe combo for a day at the office or date night. Lumber into Friday with a casual plaid button-down. Try out a double denim look with a pair of jeans and a jean jacket for a night out with the guys, or put plaid in place of your regular oxford shirt during the work day. The weekend is calling and it’s ready for a hoodie. Take it easy this weekend and put a simple zip-up hoodie into the mix. You’ve got permission to wear sweatpants too. Another weekend hero. Get a henley in your team’s favorite color (or just yours) and wear it with stretch chinos or a pair of well worn-in jeans for gameday. What day of the week do you need a shirt for? Tell your Stylist.